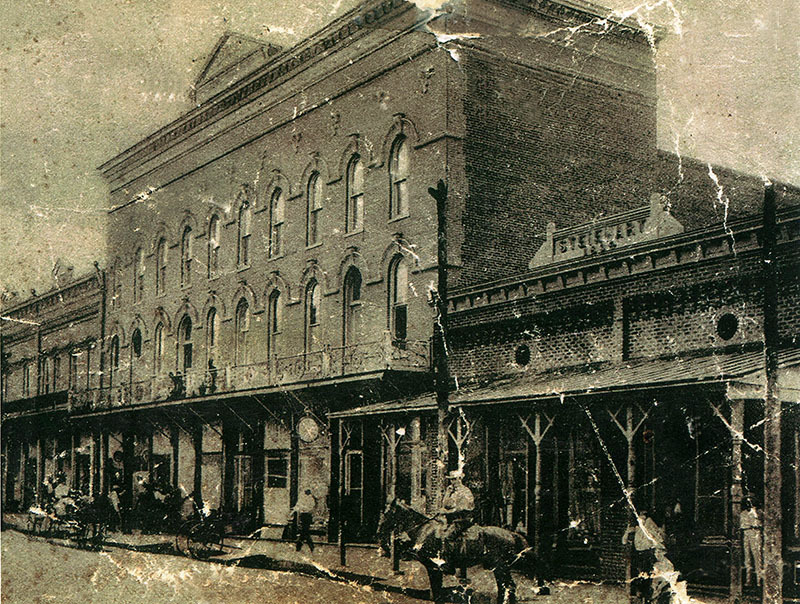 Located in Greensboro, Hale County, the Greensboro Opera House was constructed in 1903 by local politician Jeffries A. Blunt. The three-story facility had retail stores on the first floor and played host to movies, theater productions, musical performances, and other artistic and educational pursuits. In the early 2000s, Greensboro Opera House Inc. purchased and refurbished the property with the help of the Alabama State Council on the Arts. It now hosts events and exhibitions. Photo courtesy of the the Tuscaloosa News. Used with permission.